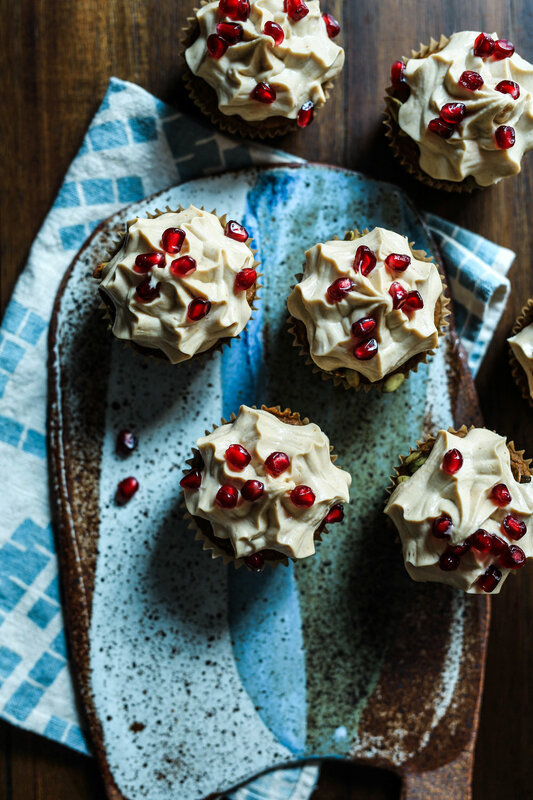 Looking for a holiday treat that is both healthy and delicious? 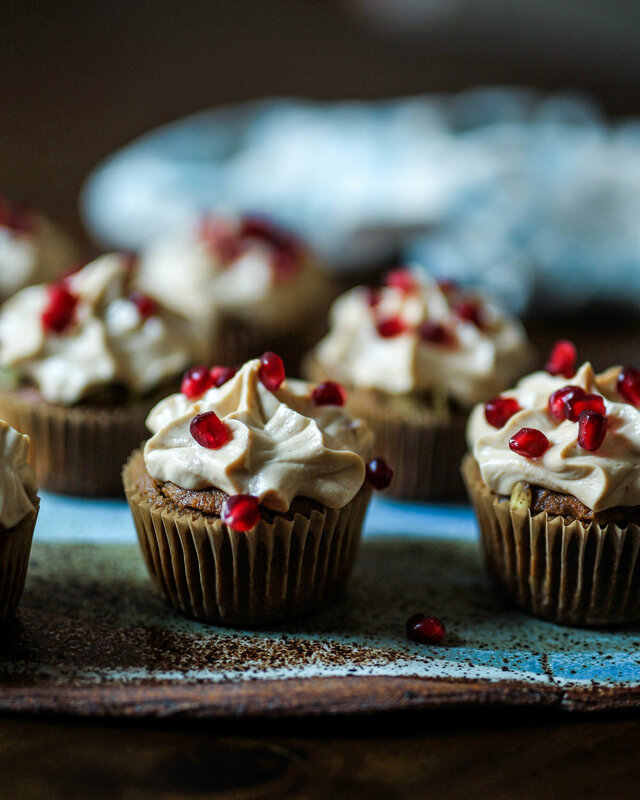 Well look no further, I present you these cupcakes filled with fall flavors and nutritious ingredients. 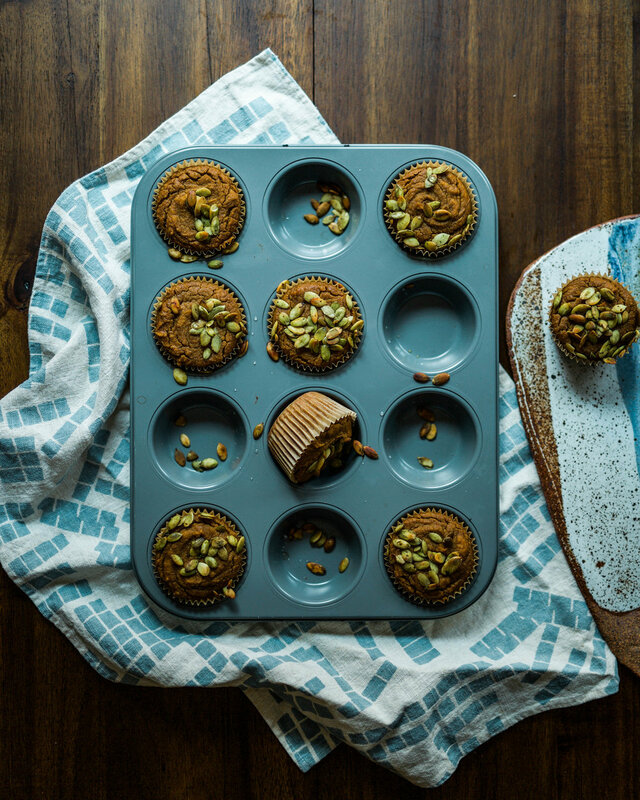 Have you ever tried teff flour and almond flour instead of regular wheat flour? Teff and almond flour provide loads of fiber, protein, iron, magnesium, calcium, and so much more. I use teff flour because its super important to eat a variety of foods, plus this grain helps people with Anemia. I also used stevia extract and dates to sweeten the cupcakes because I believe eating less artificial sugar will aid in a healthier gut system and will give you less overall cravings. I did sweeten the frosting with maple syrup because sometimes eating these kinds of sugars isnt horrible for you. We have to remeber to keep a balance in our life and not prevent ourselves from eating what we want. First, preheat oven to 350 F, then add ACV to the milk and let this sit for 10 mins. Add dates, milk+AVC, almond butter, and stevia in a blender. Blend until smooth. Then add the pumpkin purée and vanilla paste. Blend until smooth. Add all the dry ingredients in a bowl and then mix thoroughly. Then add the blended wet ingredients and mix well. Use a muffin container with or without muffin paper and bake for 350 for 25 mins, then let it cool for 15 min. Makes 9 muffins. For the frosting, just add all ingredients in a highspeed blender, and blend until everything is completely emulsified. Pour frosting into a container and let it sit in the fridge for 30 minutes. The longer you let it sit the thicker it gets. Serve and enjoy.